Design a business that provides great quality home care and a personalised, human-centred experience to its beneficiaries at a low cost. Summer Care, a service that helps people design their best life and connects them and their families to in-home care that lets them flourish. Australia’s older generation (those aged 65 and over) continues to grow, and will double by 2057. As Australians become older, many of us will start to depend on others more and will start to need care, especially in our homes. This will test our society and economy, but also represents an opportunity. Knowledge Society took on the challenge of redesigning the aged-care model for a corporate client in 2016, when the aged-care landscape in Australia was at a tipping point. This client hired Knowledge Society to help design its innovation strategy. Together, our project team and the client built a portfolio of new businesses for current and future horizons. This included Summer Care: an aged-care business that facilitates quality home care at a lower cost than traditional providers. Summer was designed with people over 55 in mind. Baby boomers seek a personalised and enjoyable experience from the services they consume and will expect the same from aged care – for their parents and, eventually, for themselves. 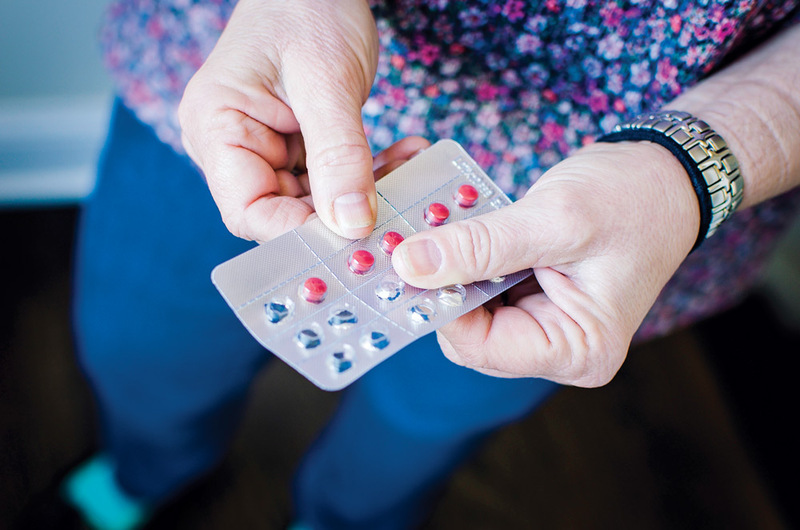 For as long as it has existed, Australia’s sizeable aged-care system has operated as a large bureaucracy with a highly medicalised approach, dominated by the needs of producers and protected from the need to innovate and improve the customer experience. In this world, people, and their families, are more likely to be viewed a ‘problem to be solved’ and a ‘burden’ on society. But older Australians are a wise, empowered and wealthy segment of the community and aspire to the same deeply human things all adults do: purpose, intimate connections, physical safety and reasonable health. Additionally, they must always be considered in the context of their families, who often end up being part of key decisions, including sanctioning and coordinating care. Summer is proactive, frictionless, personalised and helps people to thrive, not just survive. In recent years, the landscape in aged care has transformed. Government regulators changed the rules, which means that consumers have more power and knowledge to make decisions about the care they receive and can choose where they spend their government funding. This was a ripe opportunity for the client to launch a data-driven business that uses digital technology and user-centred design to provide better care at a lower cost. Aged care can be confusing, disempowering, pathologised and reactive. Summer is proactive, frictionless, personalised and helps people to thrive, not just survive. Knowledge Society undertook a year-long process of research and human-centred design to create a service unmatched in dignity and empowerment that meets the needs of the consumer at a competitive price. This process revealed many important insights that informed the design of the business, including the knowledge that the aged-care journey is experienced by families, not individuals. Although the beneficiary is at the heart of the offer, Summer’s customer is their whole family. The process of engaging aged-care services for the first time is confronting, confusing and painful. It is often precipitated by a frightening event or crisis. Knowledge Society’s team focused on this stage of the consumer journey, which was ripe for reinvention, and undertook a robust design process to speak to families, shadow users and map a network of touchpoints. After multiple rounds of prototyping, the team redesigned the process of engaging care for families and beneficiaries. 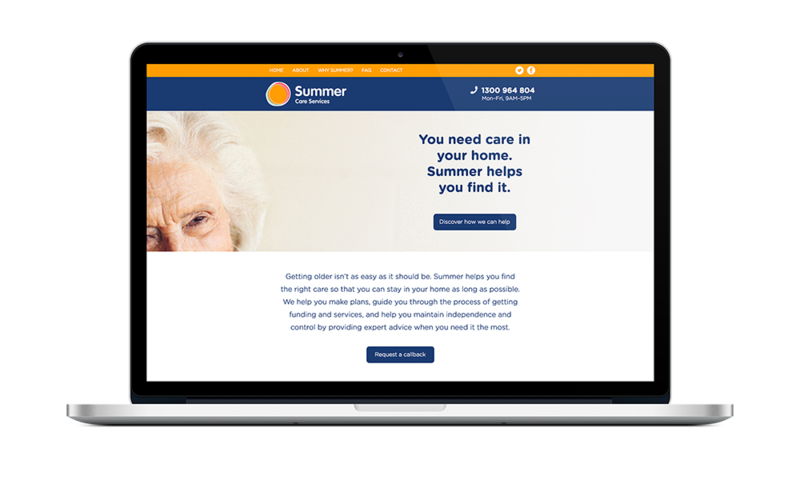 The end result, Summer Care, connects families to the services they need – including personal care, cleaning and home services, allied services and social support – with a concierge service, supported by a digital decision-making tool. This includes Summer representatives helping the beneficiary and their family create a care plan that focuses on flourishing and goal identification. Summer provides the guidance and advice families need to navigate the complex aged-care system and offers empowering brokerage and case-management services. The service appeals to beneficiaries, families, and case managers. Heather, who looks after her 101-year-old mother, said: ‘I care for my mum Jean who lives by herself and is fiercely independent. I’m glad Summer Care exists, as up until now I didn’t know where to go for help if mum’s situation were to change.’ In user interviews, families told us that the best things about Summer’s proposition were ‘being able to see, at a glance, which service providers are good and which ones I can trust’ and feeling less guilty as busy sons and daughters. Knowledge Society built up the client’s internal capacity and handed over the reigns of Summer in 2017. The client continues to build and improve the business, which forms a key part of its strategic innovation agenda.